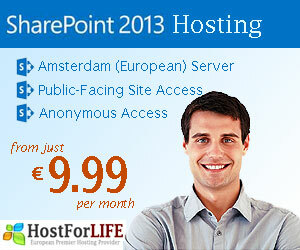 « SharePoint 2013 Hosting UK – HostForLIFE.eu :: How to Creating Custom Gulp Tasks In SPFx Solutions? You can easily get the SharePoint Build Number via C# as shown below. But, have you ever tried to detect the SharePoint Edition via C#? Well, regardless of the answer, detecting the SharePoint Edition via C# is not just a line of code as Build Number. To detect the SharePoint 2016 Edition, it will require knowing the corresponding SKU. Stock Keeping Unit (SKU) is a unique set of characters’ identification code for a particular product/service. Read more at SKU. Based on the installed product SKU, you can detect the corresponding SharePoint 2016 Edition programmatically, as the following. 5DB351B8-C548-4C3C-BFD1-82308C9A519B, the installed SharePoint Edition is SharePoint 2016 Trial. 4F593424-7178-467A-B612-D02D85C56940, the installed SharePoint Edition is SharePoint 2016 Standard. 716578D2-2029-4FF2-8053-637391A7E683, the installed SharePoint Edition is SharePoint 2016 Enterprise. 5DB351B8-C548-4C3C-BFD1-82308C9A519B, the installed SharePoint Edition is SharePoint 2016 Trial. 4F593424-7178-467A-B612-D02D85C56940, the installed SharePoint Edition is SharePoint 2016 Standard. 716578D2-2029-4FF2-8053-637391A7E683, the installed SharePoint Edition is SharePoint 2016 Enterprise. Print article This entry was posted by Peter on November 9, 2017 at 7:57 am, and is filed under European SharePoint Server 2013 Hosting. Follow any responses to this post through RSS 2.0. You can leave a response or trackback from your own site. Sharepoint 2013 Hosting – HostForLIFE.eu :: How To Create Structural Navigation Nodes In Quick Launch And Top Navigation?